Anderson Real Estate - Anderson offers a home for everyone. Coming from out of the area, or locally, homes range from older, Southern style brick with columns to newer Craftsman-style. Hartwell Lake is convenient for full-time living not just a summer/second home. There is a variety of condos/townhomes on and off the lake if one is looking for low-maintenance living. We pride ourselves in being able to offer our combined 71 years' experience as licensed Realtors. In planning for retirement, we invested in rentals starting 15 years ago, which has kept us in business. Foreclosure sales have been a large percentage of our business over the past year. Our site has useful information and links about schools, our area and real estate. We are committed to real estate! One part is our home on the lake which we built hoping the grandchildren will want to spend some of their summers (when they are old enough to travel alone) with us and play on the lake, enjoying water skiing, boating, fishing, etc. Prices have been going down, but we plan to stay in our home which means more to us than just an investment. We make memories with every holiday or visit from friends and family. So far, they enjoy visiting the Split Creek Goat Farm just down the road, as well as the playground near the Civic Center and Timms Mill to show them the grits grinding water mill. Another part of our commitment is our investment in rentals, which keep us busy. Our plan is to sell the rentals and carry the financing so we can travel in our RV. Lenders have raised the credit score higher than most have so we are hoping to help those that are serious and responsible for homeownership. In addition to listing and selling, we do property management, real estate appraisals and construction. We do additions, kitchens (see our cabinets), and remodels. Whether you want new, resales, foreclosures or rentals, our experience is invaluable. With a background of relocation, new home sales and resales, our experience ranges from California, Arizona and South Carolina. The Upstate marketing area includes Anderson, Pendleton, Sandy Springs, Clemson, Powdersville, Seneca, Piedmont, Hartwell Lake, Townville, and Liberty plus surrounding areas which are easily accessible from Anderson. Tax bills have been sent and an updated appraisal may be beneficial for proving the loss in value to lower one's taxes. Take advantage of the window of opportunity for appealing the taxes by calling Anderson Appraisals, Inc. If it is real estate related, call us. First-time home buyers, retirees, move-up buyers or investors, we have the experience to help you. As a SC Licensed General Contractor, Certified General Appraiser and a SC Real Estate Broker, Ken is an invaluable resource. 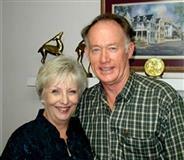 Marla, a South Carolina Real Estate Broker, has been licensed since 1980 in California, Arizona and has worked with resale and new homes for Grupe, Del Webb and Pulte. Whether it is appraising, buying or building, we're here to help! Please view our homes on our site and feel free to email or call us. We look forward to helping you. Are you thinking of buying a home in the Anderson, SC area? Finding the right home can be a difficult process but no matter what you are looking for as an experienced Anderson, SC real estate agent I can provide you with the resources you need to make the home buying process simpler, from specific Anderson, SC neighborhood information, to tools to estimate your mortgage payments, and buyer resources and articles that will help you through the home buying process. Thinking about selling real estate in the Anderson, SC area? No matter which market you're in, you can use the marketing programs and experience of a qualified Anderson, SC real estate agent like me to help sell your home quickly and at the right price. Learn more about my service, see information about recent home sales in Anderson, SC, or contact me to get started today! Are you interested in more Anderson, SC area details? Please take a minute and browse my local neighborhood and school details, real estate mortgage information and interactive maps for the Anderson, SC market. Thank you for visiting www.schomeinfo.com! This is a one-stop real estate website for all your home buying and selling needs in Anderson, SC. I’m a professional real estate agent who will help make your search for a new home an enjoyable experience. Please feel free to contact me directly if you have any questions about the Anderson, SC real estate market, or buying or selling a home in Anderson, SC.